A video training course in mindfulness practices for liberating ourselves from fear. Most of us are aware of how fear holds us back in our lives. With Releasing the Grip of Fear, renowned meditation teacher and psychologist Tara Brach offers an in-depth video training course to help you change the way you deal with fear—so you lower your defenses and can be open and caring in any moment. Dr. Tara Brach offers four 90-minute video sessions of insights, guided mindfulness practices, and answers to questions submitted by live attendees to help us transform our relationship to fear. There is also a special 45-minute bonus session of instruction and recorded Q&A with Tara Brach. The entire program of Releasing the Grip of Fear is yours to keep and enjoy as you deepen your capacity for living in presence. Most of us are aware of how fear holds us back in our lives. When we are in its grip—whether it’s daily anxiety or our most deeply rooted fears—we are unable to feel open-hearted or fully alive. “So often we try to cope with our fear by building a strong defense around our heart,” explains Tara Brach. “Yet our inner fortress separates us from intimacy with others and connection with our own creativity and vitality.” With Releasing the Grip of Fear, this renowned meditation teacher and psychologist offers an in-depth video training course to help you change the way you deal with fear—so that you can be open and caring in any moment, even in the face of difficult emotions. We can’t—and we don’t want to—magically make fear go away. But using gentle and self-empowering mindfulness practices, we can learn to stop fear from exerting such power over our everyday decisions and feelings. Even more, we can allow the fears that do arise to be a portal to increasing wisdom and compassion. 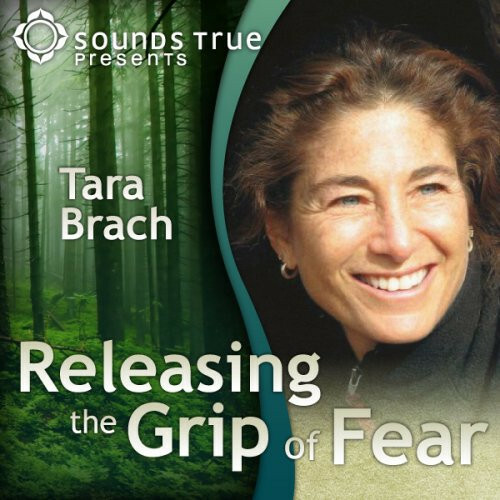 With Releasing the Grip of Fear, Tara Brach teaches practical ways to disarm the defensive reactions that we build to protect ourselves from fear—so we may open ourselves to the fullness of all of life.